Tea individually packaged in tea bags. Tea bags are compostable. 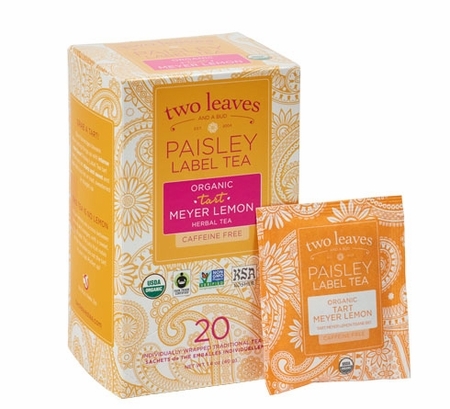 These delicious teas bags are all certified organic and Fair Trade certified. Tart Meyer Lemon Lemon, manderin. Caffeine free. Tart Blood Orange Orange, zest. Caffeine free. Tart BerryCranberry, hibuscus. Caffeine free.